The original base of Whistler Mountain and site of the first gondola, the ‘Creek’ is a laid-back, family kind of place situated just 4.2 kilometres south of Whistler Village. Easily accessible by car or the paved Valley Trail with everything from ski and bike park access to bars, accommodation and lakes, Creekside is a favourite local destination year-round. 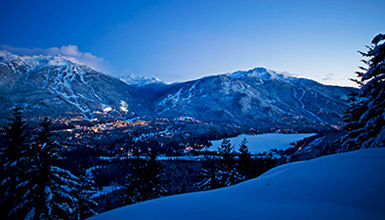 The Creekside Gondola provides access to Whistler Mountain. 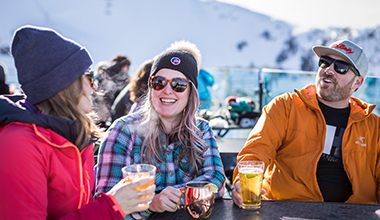 Whistler Creekside offers all the amenities found in the Village including Whistler Blackcomb Guest Relations, ticket sales, Snow School, rental and tuning ski shops and more, along with free underground parking for day skiers. Intermediate and advanced riders will be able to upload on the Creekside Gondola to access the Whistler Mountain Bike Park. Riders can link into the Garbanzo Zone trail network from the Raven’s Nest or ride back down to Creekside via the new Expert ‘Dusty’s Downhill’ or ‘BC’s Trail’. Visitors looking for a unique sightseeing experience can now upload the Whistler Creekside Gondola to enjoy gorgeous views south of the village, continuing to the PEAK 2 PEAK terminal at The Roundhouse via the open-air Big Red Express Chairlift. Note that there are no hiking trails from the top of the Whistler Creekside Gondola (Trails are for Whistler Bike Park riders only). Visitors can access the gondola with a seasons pass or PEAK 2 PEAK 360 Experience ticket. Tickets are available from the ticket window or online in advance. Creekside offers a wide variety of family-oriented things to do - perfect for people staying out in the area, or for a day trip away from the Village. Alpha Lake and Nita Lake are within a few minute’s walk of the shops and offer many activities to choose from including swimming, paddling access, fishing, a playground, volleyball, basketball, and tennis courts plus a large dog off-leash area. The Valley Trail system, which stretches from the north end of Whistler to the south end, passes by Creekside and is accessible from both Alpha and Nita Lake. Explore the area on foot, by bike, or inline skates. Whistler Creekside hosts a number of restaurants and pubs for those looking for a family meal, a finer dining experience or a sunny après venue. Need a gym, or time out in a spa? 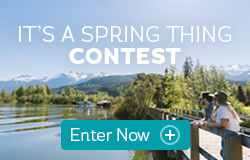 Whistler Creekside has its own outstanding wellness venues. Creekside offers a full service grocery store, two liquor stores, a bike shop, bike and ski tuning centres and a range of other retail spaces including the Husky Service Station. Local Creekside snowboarder Jon has been up the hill every day this year – but he's not riding for the numbers.